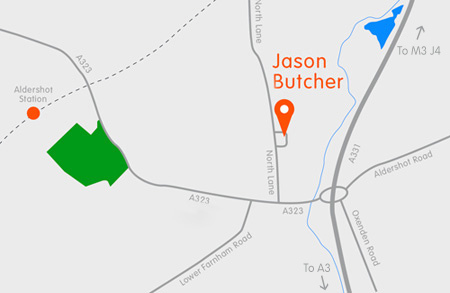 Jason shoots all over the UK and abroad but if you are visiting us, our beautiful well equipped studio is a less than an hour away from London on a scenic route from Waterloo station. We offer collection and drop-off to the station and have ample onsite parking should you wish to drive (it's real easy via the M3 and A3 from London), and a loading bay for discreet unloading if required. The studio kitchen has the essential coffee machine and range of teas for the caffeine hungry folk and drug free versions for those who play it cool. Jason is a member of The Association of Photographers and abides by their code of conduct and terms and conditions.